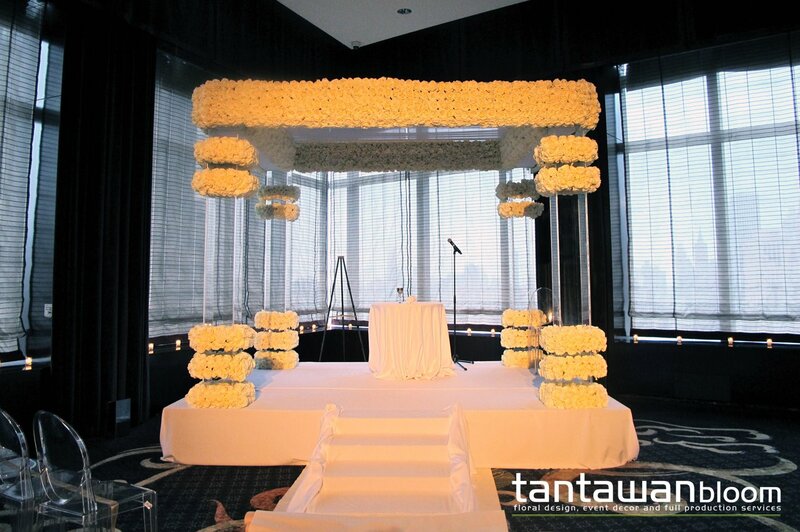 This is one of our most innovative and modern chuppah that we, Tantawan Bloom, have ever created. This gigantic clear lucite structure was erected at Mandarin Oriental Hotel New York. On the top of the chuppah was covered by hundreds of roses and the four columns were wrapped around with rose rings to create modern touch for this fabulous ceremony.